Jon Dee Graham (born February 28, 1959) is an American musician, guitarist and songwriter from Austin, Texas. In 2006 he was named the Austin Musician of the Year during the South by Southwest (SXSW) music conference. 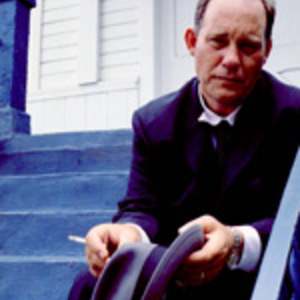 He has been inducted into the Austin Music Hall of Fame three times: as a solo artist in 2000, again in 2008 as a member of The Skunks, and again in 2009 as a member of the True Believers. Graham featured in the True Believers with Alejandro Escovedo before going solo and releasing a number of highly-acclaimed albums in the late 1990s and 2000s. His more recent studio albums include Full and The Great Battle and they highlight Graham's personal and heartfelt writing style, distinctive and gruff (well lived in) vocals and punch guitar style. To date, Graham has released eight solo albums: Escape from Monster Island (1997, Freedom Records); Summerland (1999, New West Records); Hooray for the Moon (2002, New West Records); The Great Battle (2004, New West Records); Full (2006, Freedom Records); Swept Away (Film Soundtrack) (2008, Freedom Records) It's Not As Bad As It Looks (2010, Freedom Records), and Garage Sale (2012, Freedom Records).